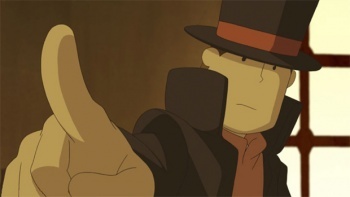 Gentlemanly logic is pointing toward a new Professor Layton announcement at E3 2011. 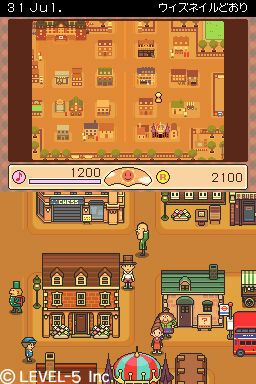 If puzzles are up your alley, then the Professor Layton games are like heroin in videogame form. Fans should get ready for a possible fourth fix with a recent trademark hinting at a new announcement to be made at E3 2011. Last year, Siliconera discovered a trademark for Professor Layton and the Unwound Future less than a month before E3 2010, where Nintendo eventually announced the game for North American release. Now, the site has discovered a Level-5 trademark for Professor Layton and the Last Specter less than two weeks before E3 2011. This is presumably the translation of the title often referred to as Japan's Professor Layton and the Specter's Flute, the fourth game in the Professor Layton series. If history repeats itself, Last Specter has a good chance to be announced by Nintendo at E3 2011. There had been some question about whether or not Nintendo would release Last Specter in North America after the release of the 3DS. Last Specter was first released in Japan in November 2009, which gave Level-5 enough time to develop Professor Layton and the Mask of Miracle, the fifth game in the series, as a launch title for the 3DS in the region. The trademark hopefully indicates that Nintendo will not skip out on localizing Last Specter, which is a DS game. 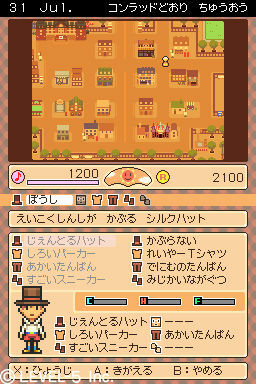 In London Life, Layton walks around London as a cute sprite while talking to NPCs and equipping new hats and other items. 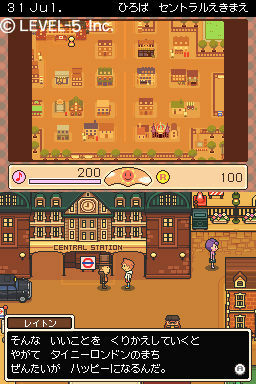 Professor Layton has always included side-quest mini-games, but nothing quite on London Life's scale. If it's not localized, I'll be happy to have another romp through the prim, proper, and confounding world of Professor Layton, but I'll definitely cry for a while first.